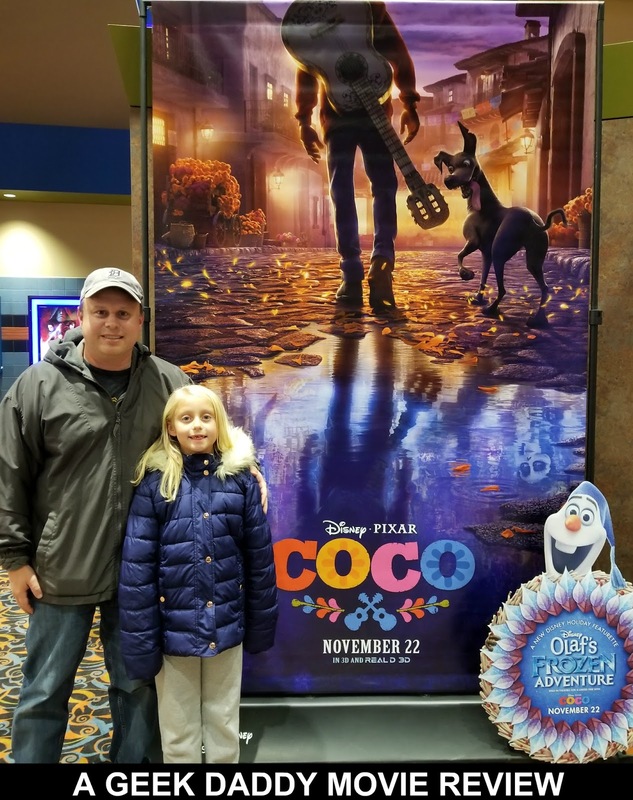 My little girl and I had a nice daddy-daughter night out enjoying an advance screening of Disney Pixar's new movie COCO. It is a great movie for a family outing with a compelling story. Themes included within the story include highlighting the value of family relationships as well as promoting the importance of making memories with your loved ones. While Pixar movies often stand out for the quality of their animation, the strength of COCO is its wonderfully developed story that my daughter and I both became thoroughly immersed within. This is the best story portrayed in a Pixar movie yet! Of course the animation is no slouch either. COCO is filled with vibrant imagery especially as it transports audiences to the Land of the Dead where a majority of the film takes place. One of my favorite aspects of the movie is its depiction of the creatures that serve as spirit guides in the afterlife. They are brilliantly colored and have an incredible wow factor to them as they literally pop out of the screen at you with their bold look. I didn't notice the spirit guide animals shown in the advance publicity for the film and believe that is because the studio didn't want to spoil the amazement of people seeing them for the first time within the movie. These creatures in COCO are spectacular! Following the cultural association between the Day of the Dead holiday (which the movie's story revolves around) and skeletons, the people who reside in the afterlife Land of the Dead are depicted as skeletons. While these skeletons are an important visual component of the story, I found after awhile they began to become a bit dull. That being said COCO does a nice job compensating for this by incorporating captivating settings, brilliant creatures, and vivid outfits within the Land of the Dead to balance out all the characters portrayed as skeletons. Despite this minor critique of the skeletons the movie's animation was top notch and very impressive to see. With this being a Pixar film of course it is meant to be movie for children to see. For this particular film though, if you have a preschooler who is prone to nightmares from scary things COCO may not be a suitable movie for these young viewers to see. As I mentioned, a great portion of COCO features skeletons as the characters. In several scenes, the "living boy" who is transported to the Land of the Dead begins to turn into a skeleton himself. You see the skin on his fingers, hand and arm literally disappearing and him transforming into a skeleton resident of the Land of the Dead himself. Death obviously is also a major theme of the movie as well. Parents should take these factors as well as their child's individual level of maturity into account before taking young children to see COCO. After all the movie is rated PG recommending Parental Guidance. My eight year old daughter loved COCO and wasn't scared at all by anything in it. No nightmares at our house after seeing the movie! In fact, my daughter told me she really liked the skeletons and thought they were "humorous." Wow have to say I was proud and impressed that at her age humorous was part of her vocabulary. Hearing her say that may have been the best part of seeing the movie and reviewing it for me. It also reminds me how fast she is growing up and how memories like us going to see a special showing of a movie as a daddy-daughter night out is some precious time together. COCO earned A Geek Daddy nod of approval for combining an excellent dramatic script, entertaining musical performances, and impressive visual elements into a fantastic film that is great for a family outing to the movie theater. For more information about the movie, head over to movies.disney.com/coco. You can also CLICK HERE to download and print out some fun coloring pages and read some fun facts about the movie. 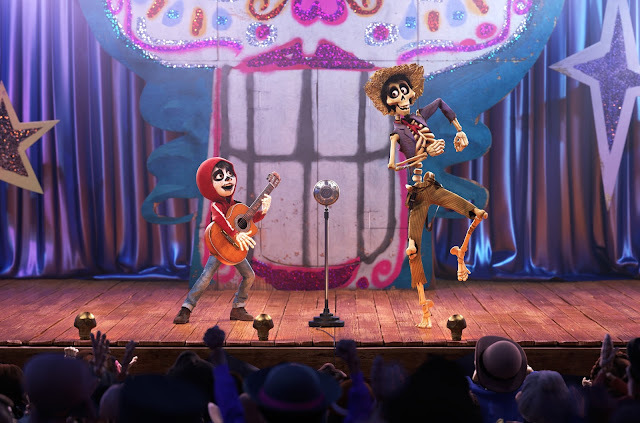 In Disney Pixar's COCO despite his family’s baffling generations-old ban on music, Miguel (voice of Anthony Gonzalez) dreams of becoming an accomplished musician like his idol, Ernesto de la Cruz (voice of Benjamin Bratt). Desperate to prove his talent, Miguel finds himself in the stunning and colorful Land of the Dead following a mysterious chain of events. Along the way, he meets charming trickster Héctor (voice of Gael García Bernal), and together, they set off on an extraordinary journey to unlock the real story behind Miguel's family history. Oh and where does the title COCO come from? It is the name of Miguel's great grandmother! There is a touching, heart-warming twist to the movie's story tied to its title. I'm not going to spoil that though, you'll have to watch COCO to find out what that is! I'm really not surprised that this movie is such a hit with and pretty much everyone else. Disney/Pixar has become a master story telling. We're headed to see Coco this weekend. I think everyone in the family is going to love it. Even my youngest should be able to handle it. We are actually watching COCO this weekend! I hope my 3 year old niece can take it, I've let her watch all the trailers and she seems like it. Great review! I can't wait to see this movie. It looks so good! I would love to take my girls to see it too. My daughter has been begging me to see Coco with her! Thank you for sharing this review. We will make a date to see it this weekend. I can't wait to see this movie. 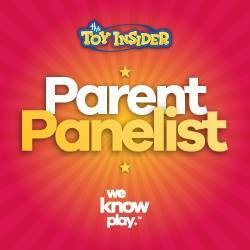 We love Disney around our house and something a little different for them like this is really going to be fun. I am so excited about this movie. I'm going to take my son this weekend! I have only seen good reviews. My husband took my oldest to see this a few nights ago. 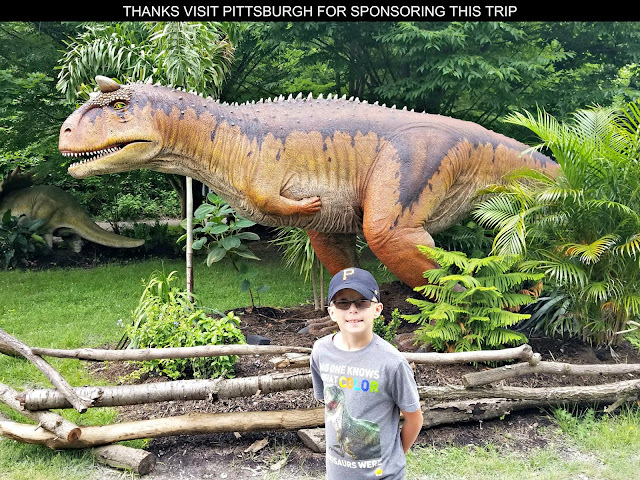 My husband and son loved it. I hope to see it soon. I didnt know about this coming out. I’ll have to check it and see if the girls would like to go.